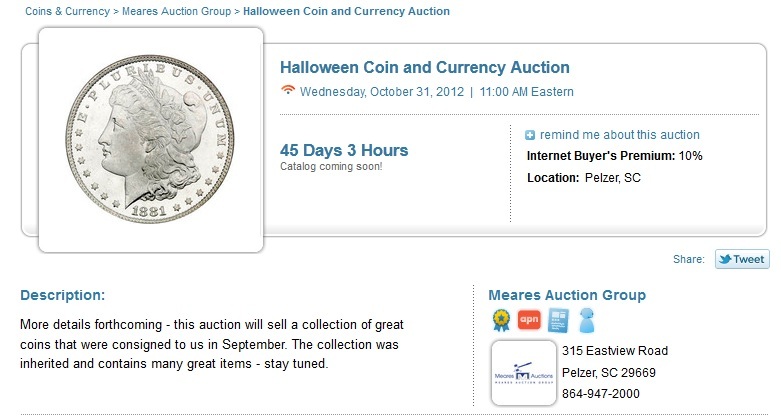 Online coin auctions not only require companies to understand numismatics, but basic marketing, too. One of the best ways to draw bidders to your sessions is to fill out Proxibid title and features page completely because that also appears in the Coins and Currency listing. You can pay for advertising, or use Proxibid features to the fullest. Here are some examples of what not to do, followed by examples of how to do it. 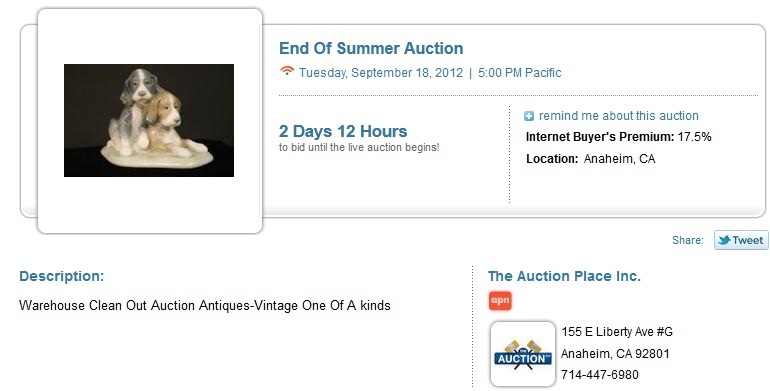 End Of Summer Auction by The Auction Place Inc.
Anaheim, CA. Warehouse Clean Out Auction Antiques-Vintage One Of A Kinds. This announcement just lists condition of coins without describing any lots. Montrose, CA. Uncirculated U.S. Coins. This announcement announces types of coins but does not include a lead photo of a showcase coin. This announcement does most things right–announcing a massive sale with no reserve and then listing the types of lots (no specifics, though). 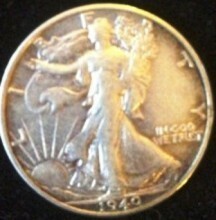 Unfortunately, however, the company posts a near silver-melt common 1940-S half dollar as its lead image, indicating a lack of numismatic savvy. MASSIVE Estate Coin Liquidation – NO RESERVE! Spartanburg, SC. Silver US and Canadian Coins, Rare Currency, Ancient Roman Coins, Old World Coins, Silver and Gold Bullion, US Coins with Key Dates, Very Collectible Vintage & Antique Tokens… Over 300 lots! SilverTowne Auction shows how it’s done, using the auction highlight as announcement photograph as well as listing specifics of coins plus types of coins being offered. Pelzer, SC. 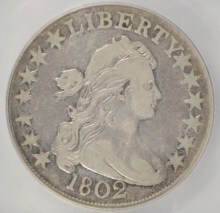 More details forthcoming – this auction will sell a collection of great coins that were consigned to us in September. The collection was inherited and contains many great items – stay tuned. I’m shocked on how this blog dotes on Silvertowne… very overpriced items, too liberal in their use of ‘Scarce’ and ‘Rare’, and an overall bad feeling when attending their online auctions. I dislike their auction method, starting at ridiculous prices and going down until someone who has more money than sense places a bid. I’ve not purchased a single item in the many of their auctions I’ve attended. 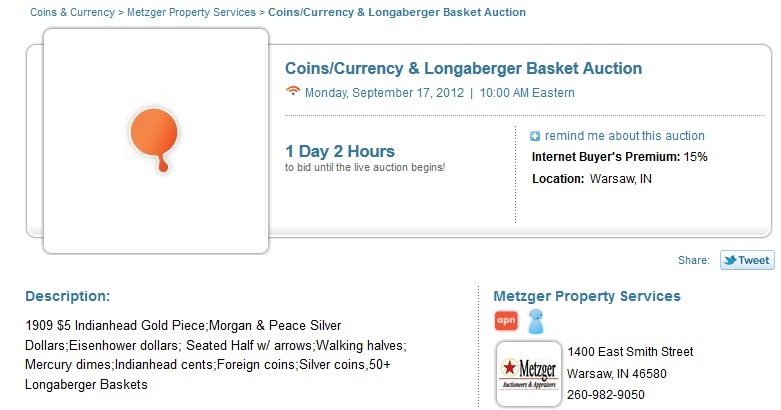 Better deals for the savvy bidder in other places! SilverTowne’s Larry Fuller is one of the best graders in the business. You’re not going to get a steal at SilverTowne but you also won’t get counterfeits, doctored coins, etc. Many favorite auction houses use “gem” and “DMPL” and “scarce” and “rare,” etc. 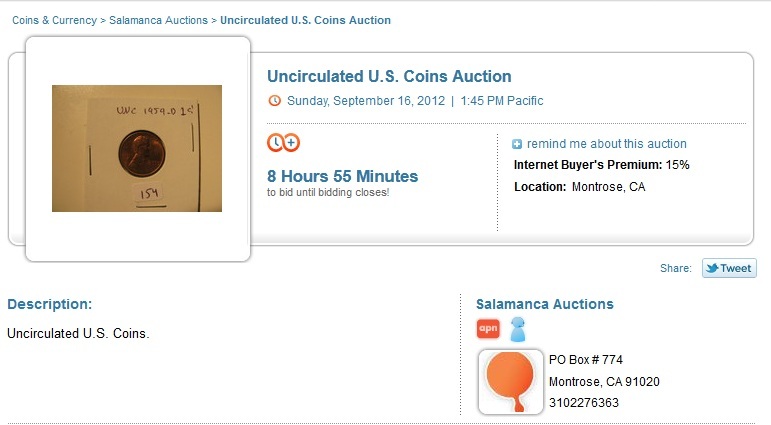 Fact is, if you’re going to bid via Proxibid, you need to know numismatics. That is what this blog is about. And if you do know coins, and you sound as if you do, then you’ll find the right place for you. Thanks for writing again. You can get amazing buys. Or rotten ones. Just went through a spate of the latter. See today’s post.